Palm Sunday: Your King Is Coming! The stage is set. The curtain rises. The last act of the drama begins. Here comes Jesus into the city of Jerusalem. Perhaps 2.5 million people crowded the narrow streets converging on this holy city at Passover time. Garments were spread on the road. Branches torn from trees fanned the same air which carried shouts of “Hosanna.”All this was no accident; Jesus knew what He was doing. In advance, He had arranged for a donkey; two disciples brought it to Him. It was no accident that marked His mode of transportation. Matthew reveals that Jesus set the stage for what we now call Holy Week so as to fulfill the prophecy spoken centuries before in Zechariah 9:9 and Isaiah 62:11. “Say to the Daughter of Zion, ‘See your king comes to you gentle and riding on a donkey, on a colt, the foal of a donkey”‘ (Matthew 21:5). Call it the first century or the 21st century, the picture remains: Your King is coming. Let’s take a look at this King. I. Your King is a different kind of king. We Americans aren’t too familiar with monarchy. We will watch a coronation. We are fascinated by the pageantry surrounding a royal wedding. We will even occasionally follow at a distance the royal gossip surrounding Prince Charles and Camilla, and read an article about the dating status of Princes William and Harry. Although we are sort of numb when it comes to all kinds of leadership — seeing the weaknesses of kings, prime ministers, and presidents — yet who among us is not stirred to rapid pulsation by the majestic strains of “Pomp and Circumstance”? It is overwhelming to sense the power, the armament, the majestic aura, that surrounds the presence of a man called a king. There is something awe-inspiring about royal power. We could add that there is something awesome about all political and military power which marks the trains of kings, prime ministers, and presidents. There is one exception — that being an encounter with King Jesus. Jesus is a different kind of king. Whereas most royalty comes determined to rule, He comes determined to serve. Whereas most monarchs spend time building their egos with the perquisites of office, He comes with a totally disarming humility. Whereas most kings ride white stallions or majestic Boeing 747s, King Jesus rides a donkey. He knew what He was doing. The King chose His vehicle of transportation. The horse stands for war; that’s what the people wanted. They yearned for a leader who would set them free from the yoke of Rome. Jesus rode a donkey, a symbol of meekness, of peace. How different are the swishing of palm branches from the click of crossed swords or the deafening blast of a twenty-one gun salute. Most kings set themselves up for a hero’s death. In the Westminster Abbeys of their imagination, they picture the heads of all nations standing in silent tribute, and the world paying honor to their contributions. Jesus was different. He prepared for the cross. His was an ignominious kind of death marked by the insulting inscription: “King of the Jews.” His fellow monarchs did not fly in from around the world to pay Him honor. No, for your King is a different kind of king. II. Your King knows precisely who He was and who He is. Most kings aren’t that certain about themselves. In most cases, they have inherited their positions. With their inheritance comes either an ambivalence — bred by failure to earn the position — or perhaps, at the other extreme, a kind of bravado and strutting that comes from years of grooming by palace functionaries. Jesus knew precisely who He was. He knew He was the Messiah spoken of by the Old Testament Scriptures. Critics may deny this, but the record is clear. Jesus dressed for the occasion, preparing Himself for the kind of entrance into Jerusalem described by Isaiah and Zechariah. Those prophets declared that the Messiah would come. He would be One different from the average king. This One would be humble, making His entry on a donkey. Jesus willingly forced the issue. He deliberately provoked the kind of response He got in Jerusalem that day, which was entirely opposite to His past performance. His whole style of life and ministry was one of shying away from publicity. He avoided large crowds when He could. He refused to take the dominant power-oriented stance of other contemporary leaders. But on this day, He put on the symbols of the Old Testament prophetic utterances. He declared in no uncertain terms, by his posture and bearing, “I am the King.” He even picked the day. The exposure was great. There was only one problem: He picked His day not so much to gain the adulation of the crowd, which He knew was fickle, but to force the issue of His whole reason for being here on earth. His triumphant entry into Jerusalem was designed to seal His doom. It was the catalytic agent which would stir the anger and arouse the jealousy of the religious establishment to a frenzy, setting the stage for the greatest event in all human history. Not only did your King know precisely who He was when He entered Jerusalem; right now He knows who He is as He enters the Jerusalem of your life. Embodied in His presence that day, and today, is a transparent honesty which defies so much of worldly leadership. III. Your King comes with a compassion for souls and bodies. Only hours after His triumphal entry into Jerusalem, He wept. Have you ever seen a king weep? Have you ever watched a president shed tears? Years ago, a presidential candidate disqualified himself from a primary election after he cried in public. We don’t want to see our rulers weep; we demand that they be strong. We push them into an arrogance in the fear that they may reflect too much of what we are ourselves and, by weeping, be discredited. No, Jesus was different; He stopped and wept for Jerusalem. He said, “O Jerusalem, Jerusalem, you who kill the prophets and stone those sent to you, how often I have longed to gather your children together, as a hen gathers her chicks under her wings, but you were not willing” (Matthew 23:37). 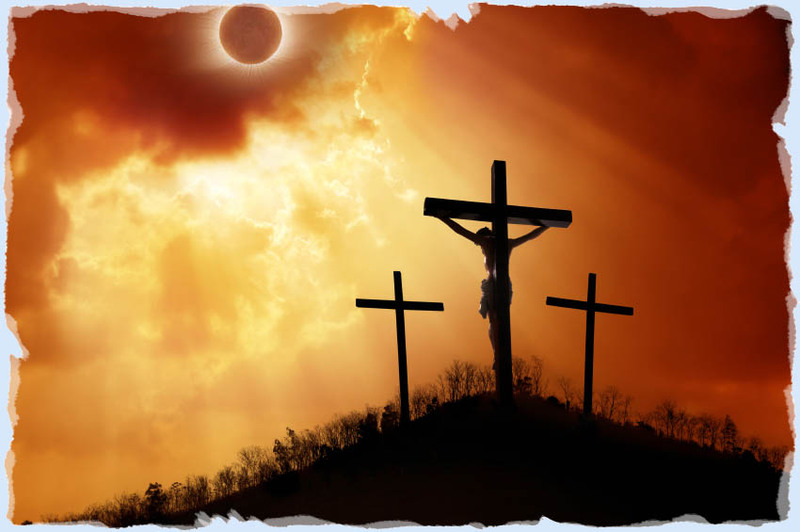 He healed broken bodies as the blind and lame freely approached Him the days after His triumphal entry, which so quickly turned into the day of His crucifixion. He didn’t keep them waiting. He didn’t flaunt His rank in their faces. The simple people, the people with broken bodies and shattered dreams, the people with bruised spirits, the people who hurt in the soul where you can really feel hurt, these He took to Himself. He did it then; He does it now. That’s the kind of Lord He is! IV. Your King comes sounding a note of judgment. He is a King who has compassion, but this compassion is not an endeavor to buy your favor. He is not going to give away everything, denying His own righteousness. He tells you what you need instead of what you want. He tells you that the wages of sin is death. He tells you that someday you will stand before God your Maker, accountable for all that you have done in this life. He warns of judgment. He warns of eternal hell, total alienation and separation from Himself. The King who enters Jerusalem on a donkey walks by foot to the hillside of Olivet. From that perspective, overlooking the city He loves and for which He wept, He refuses to give a campaign speech as any earthly leader would do. Instead, He tells it like it is, predicting domestic breakdown, economic catastrophe, wars, rumors of war, earthquake, famine, and all of the horrible desolation which you and I bring upon each other. That’s the kind of King He is. He tells you and me what we need to hear, not just what we want to hear. He talks about more than positive thinking. He talks about more than picking yourself up by your own bootstraps. He tells you that you can’t succeed ultimately in your own strength. He warns you to face up to it now and to come to Him while you can. Your King is coming! His approach demands your response. Either you are with Him or you are not. There is no neutral ground! Today we sing our hosannas, which literally mean “Save now!” Do we mean this? Are we serious? Have we come because it’s the nice thing to do? Or are we here because we mean business? Let me conclude by telling you the brief stories of two men I know. Bob has gone to church all of his life. He thinks of himself as being a very religious man. Bob is in his mid-sixties. He has lived a full life. He hasn’t let religion spoil his fun. In fact, although Bob is religious, he has no king. He has no lord. Well, that’s not quite true. He does. There is only one problem: Bob’s king’s name is Bob. He goes through the forms of religious practice. He wouldn’t miss church on Palm Sunday. Right now, he is sitting through the last five minutes of some preacher’s sermon somewhere. Bob’s problem is that Bob has committed himself to himself instead of to Jesus Christ. Bob is his own lord. He gets turned off by emotional preaching that talks about hell. He wants soothing talk about heaven. He hates preaching that quotes from the Bible. He wants comforting talk about psychology. He wants no mention of sin from the pulpit. According to him, “That went out of style with the middle ages.” My friend Bob gets turned off when he sees Jesus the Messiah, the humble King, coming his way. Yes, there is a difference between Bob and Hal. Whereas Bob ran the other direction every time Jesus began to come his way, Hal stopped. Hal took a good look, a long look, into the eyes of the prophesied King. He let those eyes probe his religious pretension. He let that penetrating glance cut through the smoke screen of his doubt. He was willing to doubt his doubts. He was willing to go back to the drawing board and read some of the great writers of the Christian faith. A scientist by profession, Hal was willing to empirically examine the claims of Christ intellectually and to experiment with them in his own life existentially. He took Jesus at His Word, only to discover this One to be his Lord and Savior. Is your name Bob? Or is your name Hal? Your King is coming! He is riding toward you now. He is ready to look straight into your eyes. Are you ready for His glance? That glance demands a verdict. He wants to know whether or not He truly is your King, your Sovereign. Will you shift your glance away, or will there be that nod of affirmation which comes from one who is loyal in allegiance to the King of all kings, the Lord of all lords — your King and your Lord? Thank you. To His Glory.